Kaepernick Has the Right to Kneel. We Have The Right To Not Like It. It’s football season, so Colin Kaepernick is in the news again. This time, as the face of Nike’s 30th anniversary “Just Do It” campaign. In the light of Nike’s announcement, I thought, naturally, of Benito Mussolini who, when describing the ideal of fascism, explained that fascism was, “Everything within the state, nothing outside the state, nothing against the state.” Il Duce might as well have been talking about the incessant bleed of social justice into every pore of society. Chick-fil-A, Mozilla, Catholic theology, Google, the NFL, movies, music, we can’t escape the Puritanical fervor of social justice warriors. (In the Social Justice Warriors’ defense, it doesn’t help to have a President who needlessly trolls them, either, but that’s a different article). The skirmish lines of the Kaepernick drama are well established. Both perpetually outraged SJWs and cowering corporatists commend the “courage” that has rendered Kaepernick toxic to NFL team owners. Rational classical liberals defend Kaepernick’s right to protest during the national anthem. And those dosing a stronger brand of nationalism can’t move past the sanctity of the national anthem and the offensive timing of Kaepernick’s protest. They are all correct. The national anthem isn’t just another song; it means something because America means something and it means something to be an American, especially a grateful one. But then, part of being an American is enjoying the First Amendment and that includes the right to kneel during the anthem. And, contra Mahmoud Ahmadinejad – of all people! – while Kaepernick is nowhere near one of the best NFL quarterbacks, he has clearly lost opportunities and income from both his literal and figurative stances. So now Nike hitches its wagon to such martyrdom by advocating that we should aspire to “Believe in something, even if it means sacrificing everything,” an inane statement that could apply equally to either Adolf Hitler or Abraham Lincoln. The act of believing is amoral – its value only derived from what one believes. So what is it that Kaepernick believes? According to Kaepernick, he began kneeling during the anthem to protest the use of force by police against unarmed black Americans, but very quickly, Kaepernick’s concerns have expanded to general “racial inequality,” putting Kaepernick squarely in step with the Black Lives Matters (BLM) movement. I don’t doubt Kaepernick’s sincerity. I do doubt the effectiveness of his tactics and the merits of his beliefs. Let’s start with tactics. From Rodney King to Patrick Dorismond, from Amadou Diallo to Eric Garner, American has a long history of publicizing the deaths of unarmed black Americans who are killed or beaten by police. We have even manufactured heroes out of O.J. Simpson, Tawana Brawley, and Michael Brown in overzealous attempts to weed out police misconduct against black Americans. And we engage in such histrionics for understandably self-flagellating, if not actually noble, attempts to atone for slavery (which ended 155 years ago) and segregation (which ended 54 years ago). As a country we have been wringing our hands about racism to the point we ostracized Michael Richards, banished Jimmy the Greek and elected Barack Obama (twice!). In other words, Kaepernick hardly needed to take a knee before a 49ers game to initiate conversation about racial injustice. And, other than martyring his career, it’s not clear that Kaepernick has accomplished what he set out to do: mention Kaepernick’s name and you will engage in far more discussions about the First Amendment, the sanctity of the national anthem, the conduct of private corporations, and Donald Trump’s tweets than you will about racial injustice. So then what about the merits of Kaepernick’s protest? If there is outright suppression and a campaign of extermination against black Americans, there could not be a more righteous cause to bring up in a public setting and, especially, during the national anthem. The problem is that, well, there isn’t. In 2016, the year of Kaepernick’s initial protest, 7,881 black Americans were killed. 233 of those deaths were due to police shooting. According to the Washington Post, only 16 of those deaths were unarmed. Even more shocking was the apparent lack of widespread racial animus resulting in black American deaths: white homicide suspects (including Hispanic suspects) killed 243 black Americans; the vast majority of the 7,881 deaths in 2016 were caused by black-on-black crime. Black lives do, of course, matter. But lowering the homicide rates and alleviating the symbiotic strains of high crime and heavy policing in the black community will not be accomplished by the movement unable to face realities about the threat to black lives. 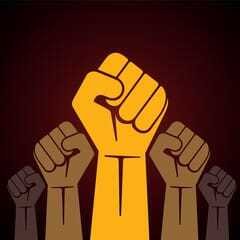 A movement whose battle cry (“Hands up! Don’t shoot!”) is based on a lie is not going to save many black lives. A movement who glorifies thugs does not represent the true victims of crime – victims that are predominantly black. To be fair, the BLM movement has shined a light on significant problems, just not the ones BLM activists want to solve. The corruption of inner cities dominated by one party and the corrupted police departments they foster? The illusion that the racial makeup of the local government or the local police force will lead to less crime or better outcomes? There is no doubt that young black men are racially profiled more frequently by law enforcement. But why? According to the Manhattan Institute’s Heather MacDonald, black males make up 42% of all cop-killers since 2006, though black males are only 6% of the population. Statistics like that will make cops – of all colors – start to racially profile if they weren’t already. Why are the numbers so bad? Why are the crime rates of black communities so much higher than other American neighborhoods? There are only two possible reasons. Either black Americans are inherently more violent or there are external factors affecting black American society. Since the former is preposterous, let’s look at what legal, social and cultural factors appear to affect black Americans in ways far more significantly than other American populations. Since the Reconstruction, American society, awash in deserved guilt, has established a lower level of expectations for black Americans – what George W. Bush famously called the “soft bigotry of low expectations.” Lyndon Johnson, at the birth of affirmative action, said, “You do not take a person who, for years, has been hobbled by chains and liberate him, bring him up to the starting line of a race and then say, ‘You are free to compete with all the others,’ and still justly believe that you have been completely fair.” That was a reasonable argument, backed by an ostensibly noble intent. After fifty-three years, however, it has been proven to be wrong. In 1965, 25% of black American births were out of wedlock. In 2011? 72%. Recent Hispanic immigrants are the next highest with 49% out-of-wedlock births – not exactly a photo finish. Jason Riley, in his book Please Stop Helping Us, notes that “between 1976 and 2005, blacks committed more than half of all murders in the United States. The black arrest rate for most offenses – including robbery, aggravated assault and property crimes – is still typically two to three times their representation in the population.” Clearly, the steps taken to provide “fairness” to black Americans has backfired. If It established a two-tiered society. One for every immigrant and non-black American and one for black Americans. As long as black Americans are treated differently, every black American will feel the weight of unjust stigmatization and racial profiling. It is inherently unfair to all Americans, but most especially black Americans. There is nothing inherently second class or broken about black Americans. Maybe we should stop acting like there is and demand the same standards as we do for every other citizen. Unless you believe that black Americans are inherently lesser than other Americans. Now that would be worth protesting during the national anthem.